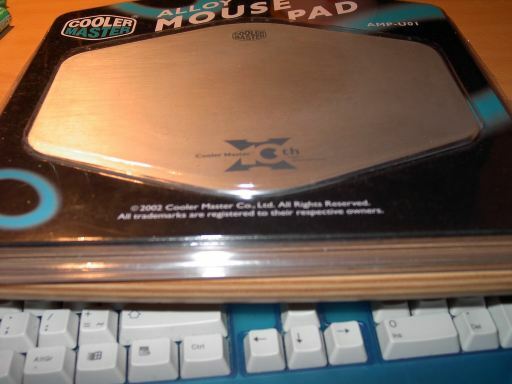 Today we'll take a closer look at the Aluminium Mouse pad AMP-U01 from Cooler Master. 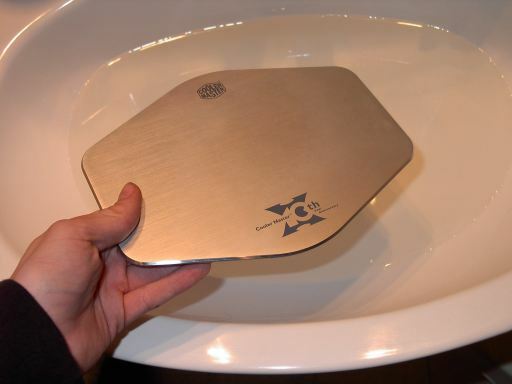 The world's first aluminium Mouse pad is from Cooler Master. It's made for celebrating their 10th anniversary. The Mouse pad is a real collector's choice, only 5000 Mouse pads are made! But unfortunately some optical mice's might not be suitable with this pad. 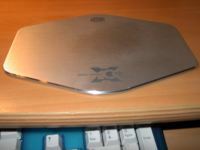 Also note that the Mouse pad is best matched with an alloy case. When we first took a look at the Mouse pad it seems very nice. Great design and it fits really nice with your desk. At the bottom a nice Cooler Master 10th year anniversary logo and at the top a little Cooler Master logo. The packet is also nice, with a clear warning that the Mouse pad is best matched with any alloy chassis users. The colour of the packaging is black with green lines. 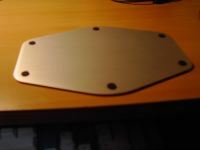 The Aluminium Mouse pad from Cooler Master has a great design. 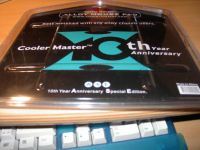 It's made for the 10th anniversary of Cooler Master and only 5000 pads were made, so that makes it a real collectors item of Cooler Master fans. It does only fit with ball Mice's, so don't try it out with your optical mouse. Maybe some will work but most will give a bad tracking on this pad. 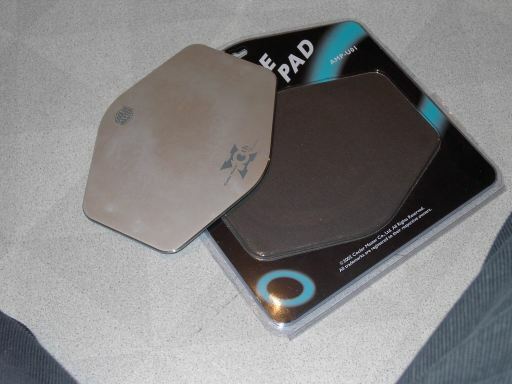 The pad makes more noise than a ordinary Mouse pad, but you can live with it. It's also a bit too small, but like I said, the excellent design makes the Mouse pad a thing to have! - Great feet's, no slipping! The Aluminium Mouse pad is a real collectors item from Coolermaster and it deserves a 9/10 from Dvhardware! 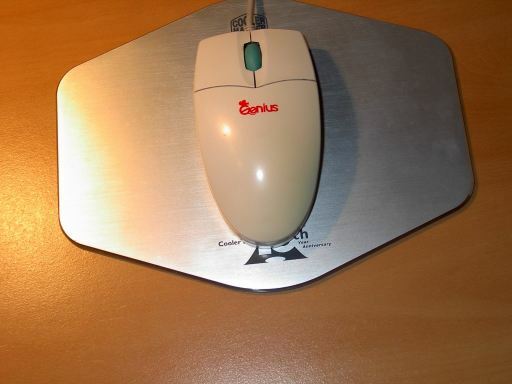 this isn't the worlds first aluminum mouse pad. I have one from an old drafting mouse, plus it works with optical mice since it has a grid on the top side.